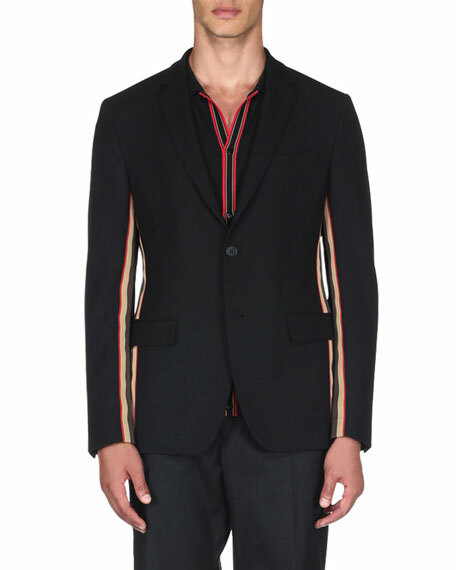 Fendi blazer in wool with striped ribbon trim. 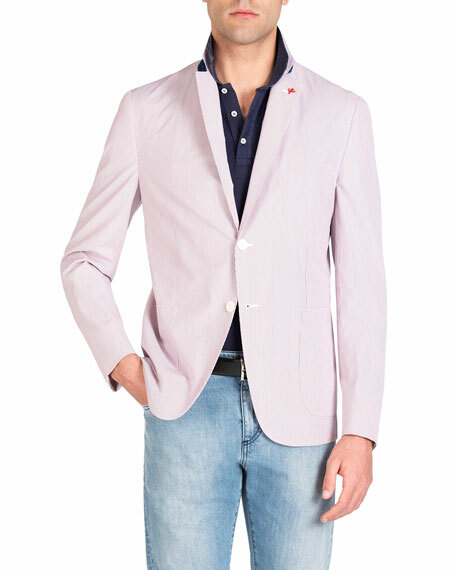 Isaia blazer in striped seersucker. 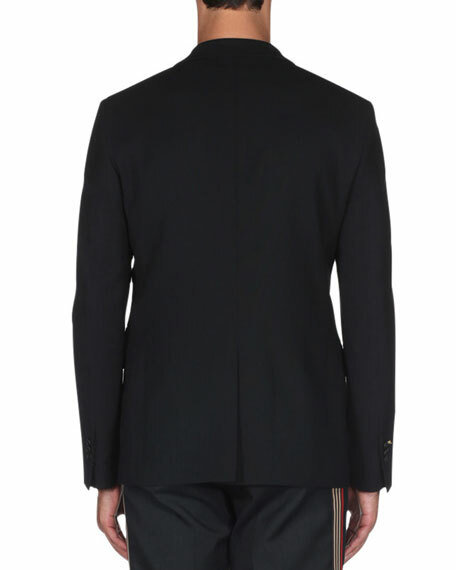 Peak lapel; two button front. Long sleeves. Hip patch pockets. Darted front. Cutaway hem. Cotton. Made in Italy.